CONGRESS of the People (COP) leader Carolyn Seepersad-Bachan is questioning the Prime Minister’s justification for supporting Gary Griffith to be the new Commissioner of Police (CoP). 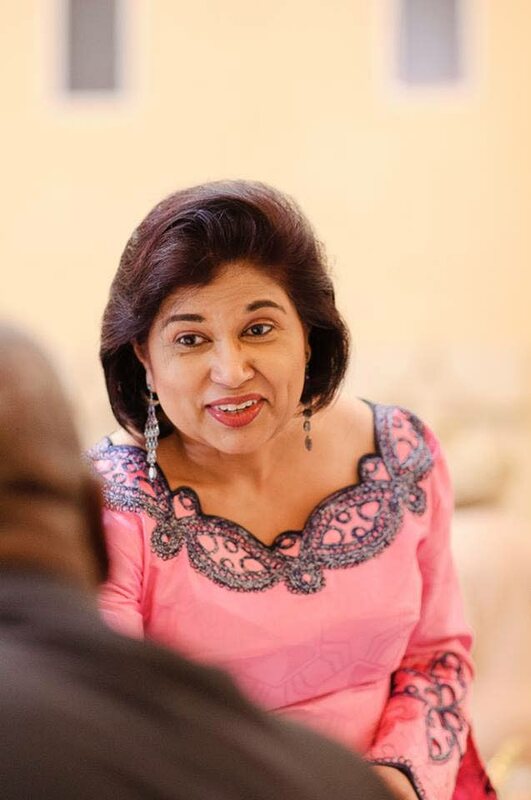 On Tuesday, she told Newsday she had a different recollection to the PM of Griffith’s positions on political eruptions within the former People’s Partnership government involving former attorney general Anand Ramlogan and former sport minister Anil Roberts. In the House of Representatives during debate on Griffith’s nomination on Monday, Rowley hailed Griffith’s stance on Ramlogan regarding witness-tampering allegations with respect to Police Complaints Authority director David West and with regard to Roberts’ role in his ministry’s controversial Life Sport programme. Seepersad-Bachan queried Griffith’s political record and also asked whether a former politician should now hold an independent post of CoP. She said Griffith’s appointment as CoP would create a precedent for politically-affiliated individuals to fill other independent posts. Seepersad-Bachan rubbished Rowley’s view that Griffith had stood up against Roberts. She was also unimpressed about Griffith’s role in the affair over West, whom Griffith had allegedly called at Ramlogan’s request. She said Griffith should not have made that phone call, but instead should have reported the whole matter to the authorities. Otherwise, Seepersad-Bachan said if the Government had deemed the Police Service Commission’s whole selection process as “flawed”, no nominee should have been chosen, including Griffith. She was also concerned about choosing a new commissioner in the absence of any reform of the systems, processes and structure of the TT Police Service. Reply to "Carolyn: PM wrong on Griffith’s record"